I am sorry I am too late to take advantage of MaryAnns cooking class this year. Due to medical issues, which have just been resolved, I was not able to commit. Please keep me in mind for the future. I LOVE Mary Ann s program and admire her culinary talents. I live in West Palm Beach, Florida and raise my own chickens and make all my own pastas as well as beekeeping. Please let me know of upcoming trips. Would love to go. Very interested in doing the 2019 or 2020 trip, please send me additional information. Please let me know if there will be a 2019 trip. 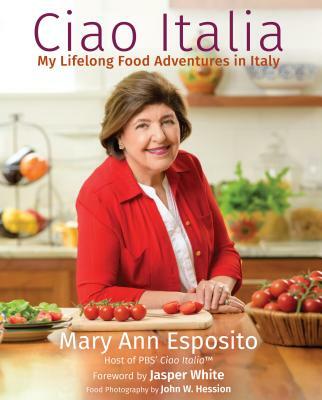 Hello, I am planning a trip to Sicily for April 2019 and would very much like to see the itinerary for Mary Ann Esposito's "2017 Tour of Sicily" trip to help with my planning process. I'm sure your itinerary is superior to anything I will find at on-line travel websites. Thank you in advance for your consideration. Are you doing a tour to Sicily in 2019? I would be very interested in the tour. Please contact me. Thanks.